The Shetland Wool Week hat pattern is here, and we have new stuff too! 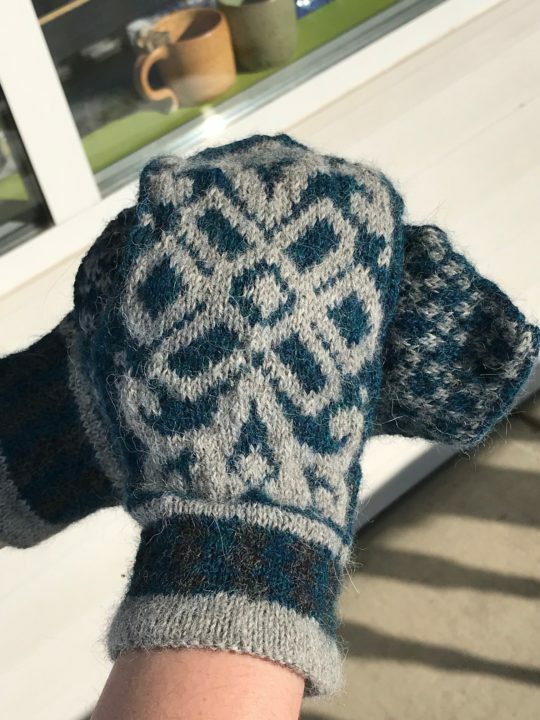 Marjorie recently took Kate Bostwick’s Kicking Horse Mittens class. She was kind enough to let us post her finished product so you can all see it. Didn’t she do a great job? There’s a New Mitten in Town! A nice action shot of Annie’s Ashord Katie loom, and some sock yarn. So it’s time for our Friday finished object. 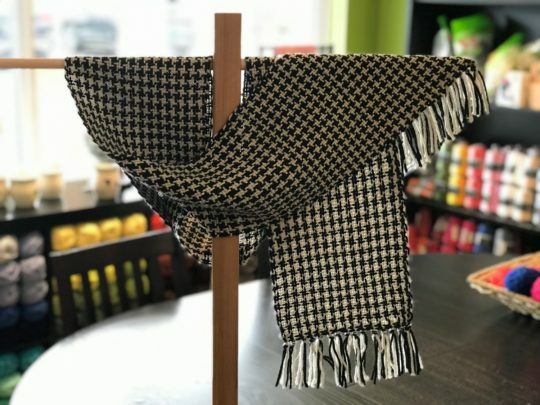 Today it’s Correna’s Houndstooth scarf. 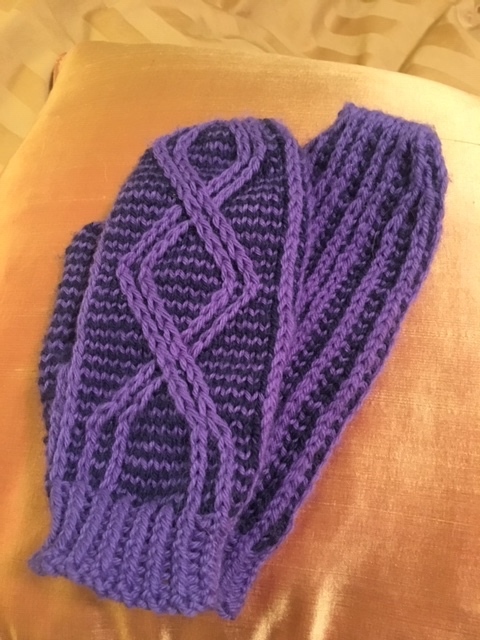 This is one of the projects that is included (with yarn!) in the Ashford Complete Weaving kit. 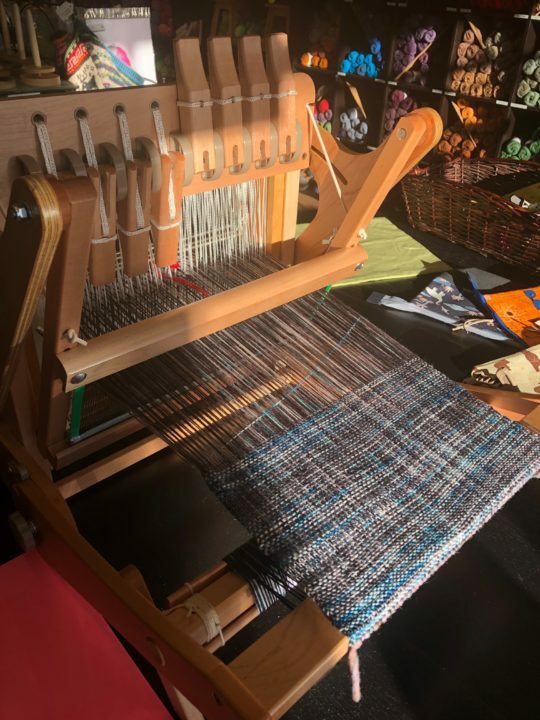 Beautiful weaving, Correna! This is Lopi No. 17. 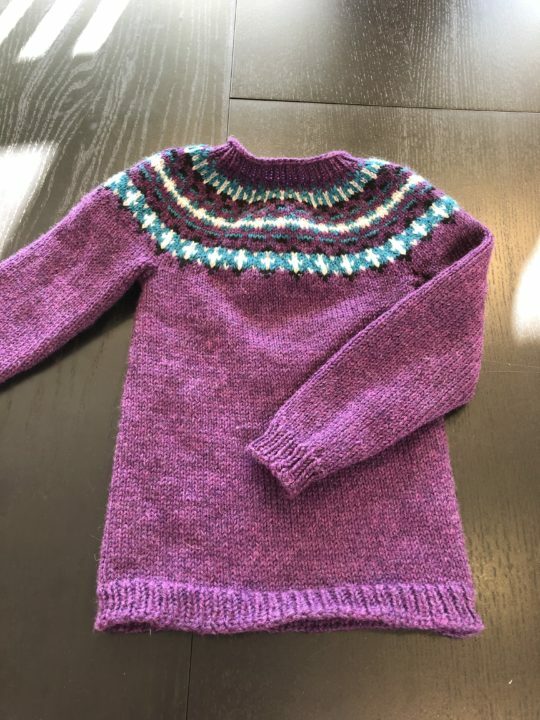 Knit by Jyll in Cascade 220. Gorgeous! 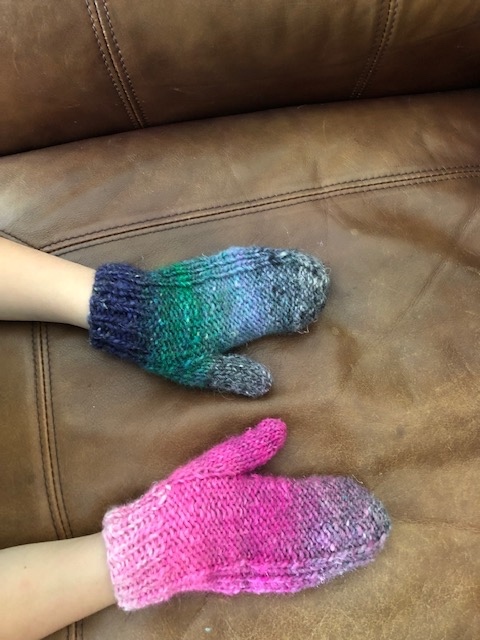 It’s Lori’s beautiful Maize mittens, knitted lovingly out of Noro Silk Garden for her daughter, Tegan! 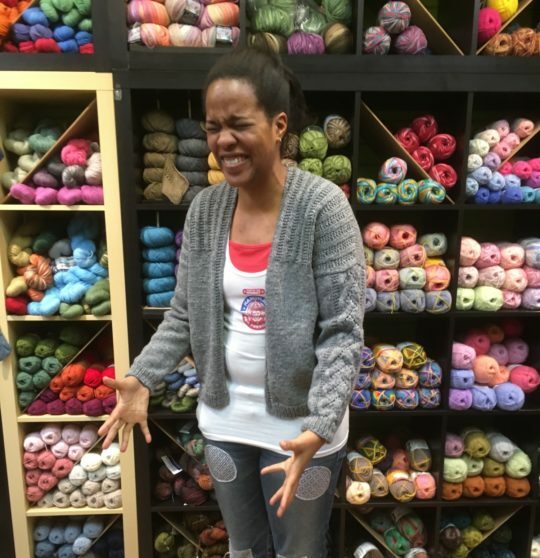 Sometimes knitting can get a bit emotional! 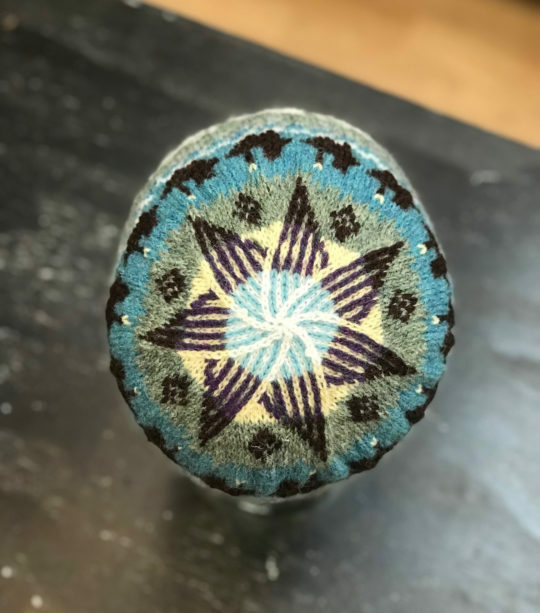 Hunter continues to amaze us with his fibre work! 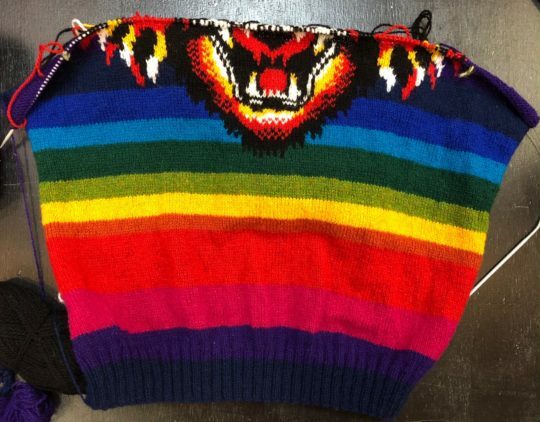 This time, he’s knitting a sweater using Jamieson + Smith 2 ply Jumper Weight, his imagination, and a tiger chart he liked. We can’t wait to see it when it’s finished, Hunter! 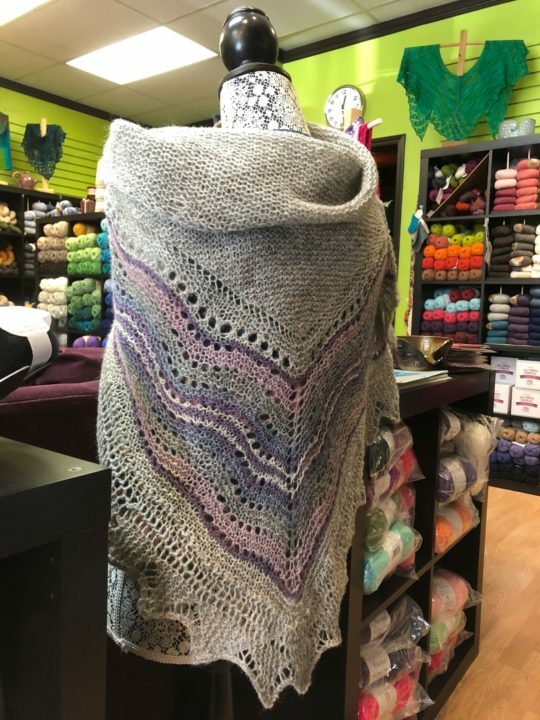 Justine knitted this beautiful Hansel shawl, designed by Gudrun Johnston, in Jamieson & Smith 2 ply Jumperweight. It looks amazing, Justine!